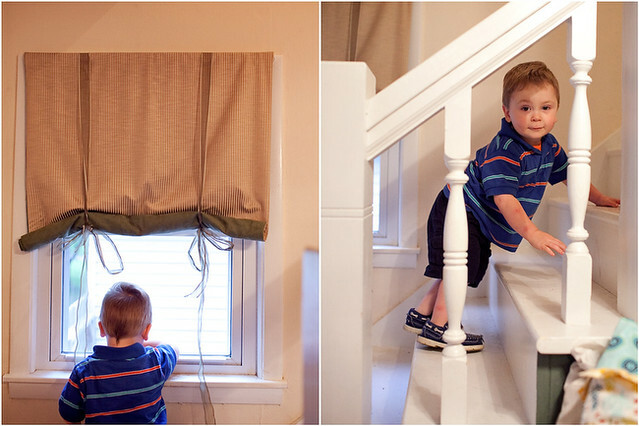 As we last left off, Tony was at softball, Isaac was napping and Gina was on her way up to our house. I napped lightly until just before I thought Gina would arrive and then began to pack the final items in our hospital bag. And here I'll rely heavily on Gina's images to completely tell the story of his arrival. My contractions were now steadily 6 or so minutes apart and in no time Isaac was up from his nap at 8:00pm. The little guy was hungry! Thankfully my stepmom had sent us home with some pasta salad and he chowed down while we waited for Tony to come home. Love this moment that I otherwise would not have remembered. We were all a little anxious for Tony to come home, Isaac included. By 8:34 though we were on our way on a walk around the block. My contractions were growing more difficult to manage and were now 5 minutes apart. I knew that we'd know by the end of the walk what our game plan was. So we slowly walked, our odd little convoy, throughout our neighborhood. And I knew as I stood and rocked through my contractions every 5 minutes, that it was time to go to the hospital. So the phone call to my Mom was made and as Tony joked, he thinks they were sitting at the end of our block waiting for the call, because my Mom and Stepdad were literally at our house 2 minutes later. We'd been undecided whether my Mom should stay at our house with Isaac until confirmation that we were going to be admitted since the hospital was 30 minutes away, but Tony was adament that they come right away. He said they were so excited that we should just let them come, so that's what we did. On the drive in, I gave Isaac animal crackers by the fistful, as Tony and I discussed the possibility that we'd left too early. 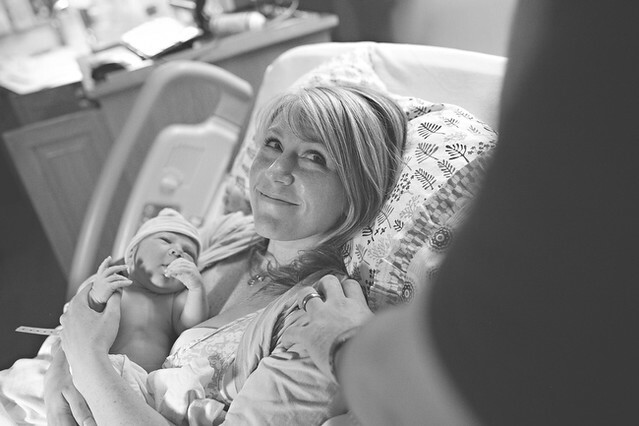 I had been in labor for 27 hours roughly before we went to the hospital with Isaac and I had not been handling the contractions the way in which I was then. At 14 hours in, we both doubted that I would be admitted and tossed around the idea of crashing at Tony's parents with everyone until trying for the 2nd time. We also discussed names again, even brushed up on our girl choices, just to be prepared. When we got to the hospital we had to enter through the ER, which I knew, but I wasn't prepared to be so disoriented upon entering the ER. In that second of indecisiveness, Jim the security guard stepped in. Jim isn't pictured, but he asked to "deliver me to delivery" with such enthusiasm that I didn't have the heart to tell him that it'd be better for me if I walked! He chatted and joked with us the whole way to the Women's Center and said that coming up to the nursery was the highlight of his job. He was so joyful! And then quite amazingly, it started to hit me. We were at the hospital. On the 26th. I was ready to find out how soon I'd be meeting Mr. Baby Love. As it turned out . . . They admitted me, with bulging waters and dilated to a 5. We really were going to have a baby, and soon. 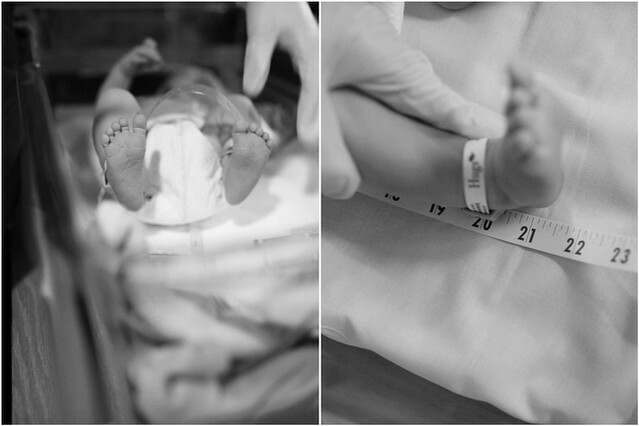 It's so interesting to me how a shorter labor and experience completely changed my reaction to being admitted at a 5. 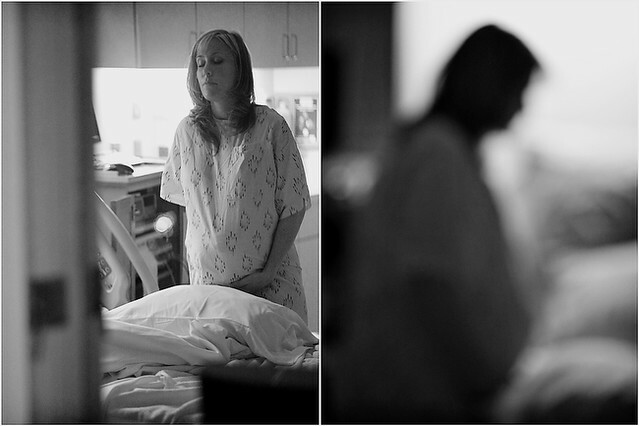 With Isaac, hearing the news prompted me to request the epidural, even though I didn't end up receiving it. This time though, it was reason for celebration! I knew that it had taken 2 hours to go from 5 to complete with Isaac. In my head I just knew that in 2 hours or less that I would be meeting my son. I started to cry at this point, both in excitement that this was actually happening and because I knew the pain that was certain to come. So, out Tony went to grab our things and I tried to get comfy on a birthing ball. 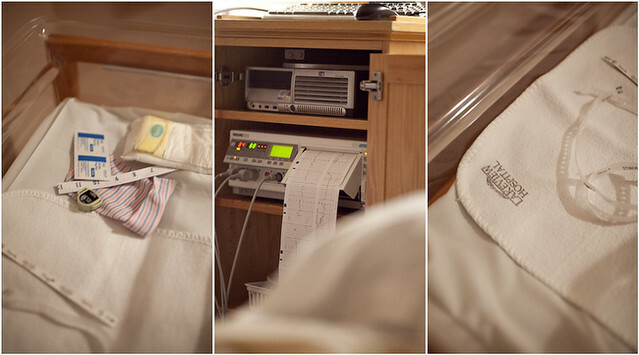 I didn't use one at all with Isaac, so I'm not able to compare, but it really did seem to help both speed up the labor and be an extremely comfortable position to relax in. I just couldn't handle a contraction sitting though! Seriously, they are just dreadful and I needed to stand and rock. The rocking method was exactly what got me through with Isaac as well. After being checked upon admission at 10:45, my midwife came up and wondered if I would like my water broken to speed things up. Already wary of any intervention and my track record of requesting an epidural, I turned her down. I'm so thankful I did! She did seem to cause a small leak when she checked me, but I didn't care when she informed me that I was now at a 7 and beginning transition. From a 5 to a 7 in 30 minutes! It was at this time that they finally got me off the monitors. My midwife suggested that I continue to walk after checking me out. But after stepping out only a few feet, I knew that there was no reason to leave the room. I wasn't going to cover any ground, so I might as well pace my well worn route in the room! It was also at this time, in knowing I was in transition, that my contractions changed. They seemed to be on top of each, very intense and I was just on the verge of losing control over them. I completely relied on Tony during this time. Just as I thought I reached my breaking point, that there would be no more "breathing" through my contractions, that I must become vocal, while standing by the side of the bed, in an act of deja vu, my water broke. And as I cried out Tony's name, and only his name, I tried to convey, "It's happening again. It's the exact same as with Isaac." There was no rest after my water broke, it was uncontrollable pushing. My baby was coming and everyone wanted me on the bed, but all I could say was "No!" They didn't understand that my body was forcefully tried to expel my baby and that I couldn't move through the contraction. Finally, my contraction broke and I was able to get on the bed where my midwife confirmed I was complete. Oh and let's not forget that this whole time, I'm literally screaming bloody murder, mainly in Tony's right ear. Within 30 seconds the next contraction hit me and I felt the fire as I passed Ezra's head. Literally the first push on the bed. Over the course of the next 3 minutes or so, I told my midwife "No." when questioned if I wanted to help my baby, before finally hearing the question and changing the hold of my legs and really tucking my chin to push Ezra's body out. And within 4 minutes of my water breaking, I was holding Ezra in my arms. There are never enough words for these moments. Due to the speed of the delivery two things happened, first Ezra bruised on his face. And secondly, he wasn't breathing. Tony said he was definitely scared based on the pediatrician's face, but I was more just of the mindset "take him, do whatever you have to do." But within seconds they had him stimulated enough to pink up and he cried a beautiful cry! There were too many competing emotions, but so much joy! And this is when I started to say "Wow" for the 500th time of the day. I couldn't believe he was here and I couldn't believe that we made my prediction by 17 minutes. Ezra was born at 11:43pm, Sunday, June 26th. I was absolutely smitten with him and I couldn't believe how much he looked like Isaac. I just can't tell you how much shock we were experiencing! A week early. Half the labor and Tony and I both weren't convinced that I would even be admitted and less than 2 hours later, there we were holding our son. This picture kind of sums up all of my feelings regarding the day. Complete beautiful peace. And this is my definition of content. It was around this time that Tony went out to tell our family. They weren't expecting him to come out so quickly, so they were just thinking he was going to give a general progress update. Tony said he tried to play it cool, but he had the biggest grin on his face which he thought was a dead give away. He announced that "we are now a family of 4!" And then turned to Isaac to tell everyone the baby's name. It took a few tries, but Isaac said "Baby Ezra!" I was absolutely overcome with tears when Isaac came back into the room with Tony. He wasn't afraid of me at all and immediately started calling for his "Baby Ezra." He was so excited to see him and wanted to give me the biggest hug. 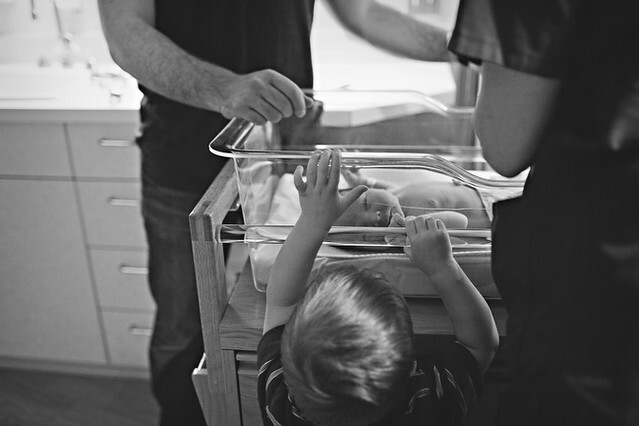 While the nurse weighed and measured Ezra, Isaac did his best to comfort the crying baby by repeatedly saying "It's okay. It's okay baby Ezra. It's okay." And this moment? Couldn't have been dreamed more perfectly. It wasn't prompted by us, in the least. Isaac has a genuine love for his baby brother and just wants to love on him as much as possible. I mean he seriously can't get enough of him, but I don't blame him. Don't even get me started on his measurements! Thank goodness his head was smaller than Isaac's, because Ezra was almost a full pound heavier than Isaac and 1 1/2 inches longer! You know what makes me come undone even further when my emotions are already shot? Watching your husband melt as he takes his son into his arms and cry. Yup, that'll do it. 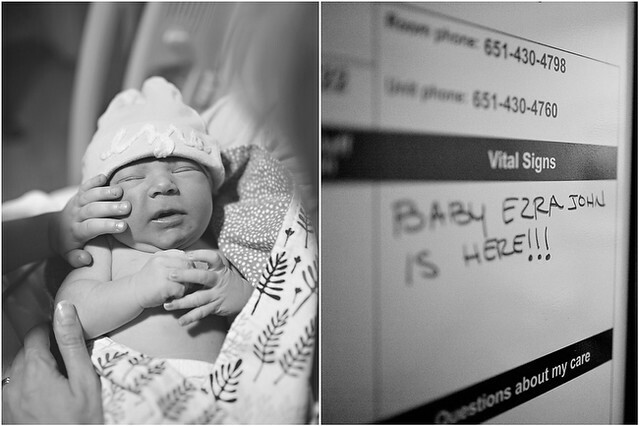 And that was how Ezra John made his beautiful arrival into the world. All photos by Gina Zeidler. Gina, I think we both feel like I'm a broken record expressing my unending gratitude for your time, talent and above all friendship. Without fail, you have been and are the epitome of a true friend. I've never done friendships well, because so often they ended up hurting me, but we've been able to bare our hearts and develop a deeper friendship. I know how much of a sacrifice it was to commit to shooting Ezra's delivery, and we didn't even bribe you with knowing the name beforehand! Thank you, again, and again and again. These are pictures of an event that I'll never be able to fully describe and thankfully, I will never have to try because I'll have these beautiful images to speak louder than words. Leah: What an engaging story of the arrival of your new baby. Through your friend's beautiful photography you will have lifelong memories of one of the most wonderful times of your life. I have followed your blog for some time now since you bought your crib for Isaac from my store Babys Own room. It is always so well written and a charming look into a wonderful family. May God Bless you, your husband and your children. Perfect birth story. Isaac with Ezra is just too much to handle! How truly beautiful. I really can't get over how beautiful you look during labour - not tired at all! How did you do it?! So beautiful Leah. He looks just like Isaac too. Enjoy. 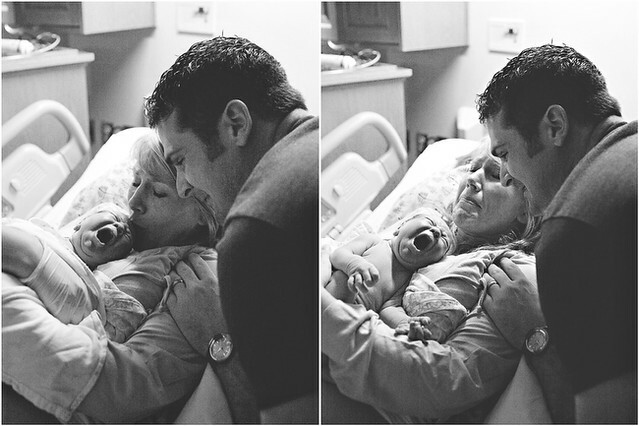 I always cry when I read birth stories and this is no exception. What a wonderful and blessed day for your little family of four! What a beautiful blessing from God! 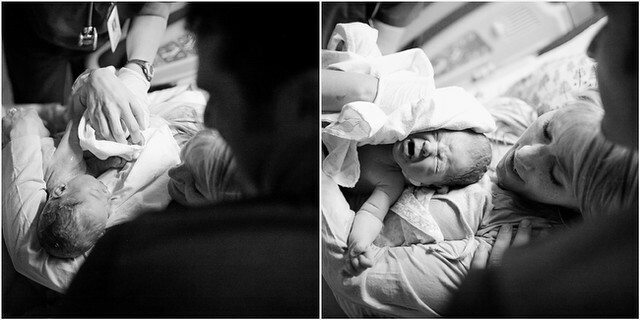 What a great birth, and to capture it all with pictures, is beautiful! Well, I'm a crying mess now. 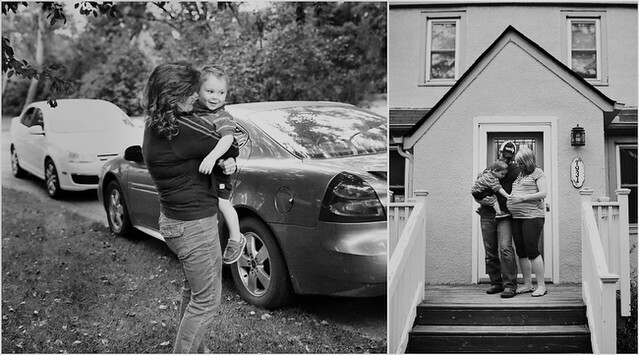 Beautiful pictures to illustrate a beautiful story. I'm not sure when I've seen so much love captured in photographs. Congratulations again, to all 4 of you! I LOVED coming back from my internet hiatus to read this!! I'll admit, I did check in a few times and saw you had the baby, but at least I waited until I was back from our vacation to actually comment!! Congrats, Leah and family. 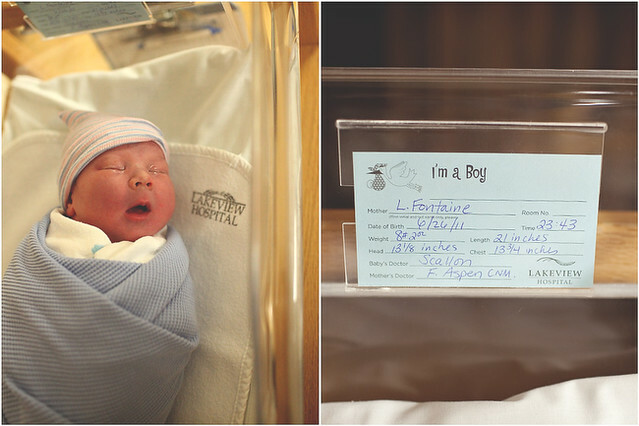 He's adorable, I love the name, and I loved reading the story of his birth! Simply Amazing... I'm literally in tears...! Congratulations Leah and family. What a beautiful birth story. You write so eloquently. ugh, the fact that Tony let Isaac announce Ezra's name is literally too much to handle. I just love your birth story, am insanely jealous of your short labor and pushing, and cannot even describe how happy it makes me to see your little family of 4, Leah. Inspiring is the only word I can come up with right now. Enjoy these early days---as you once told me, these are the ones that are held up on a pedestal for years to come. so so happy for you lady. what an amazing story, and the photos are just breathtaking. I have cried reading and re-reading this post. Congratulations, and I can't wait to hear about your adventures as a family of 4. I am a total mess reading this amazing journey thru words and pictures. WOW. Gods blessings to you Leah, Tony, Isaac, and baby love Ezra. Thanks for making this empty nester middle aged woman cry like a baby, remembering the baby boy she brought into this world 24 years ago. Totally crying. Soooo precious. You are so lucky to have all these beautiful photos to look back on. Most of us have the regular sub-par, bad lighting, look like we've been through hell and back photos :) Not you. You all look amazing. I am so happy for you, Leah. It is such a special time, this first month of adjusting to two. Take it easy and enjoy every moment of those sweet boys. Oh, that is so amazing! The photography captured everything so well! Wow! congrats on your new baby boy! 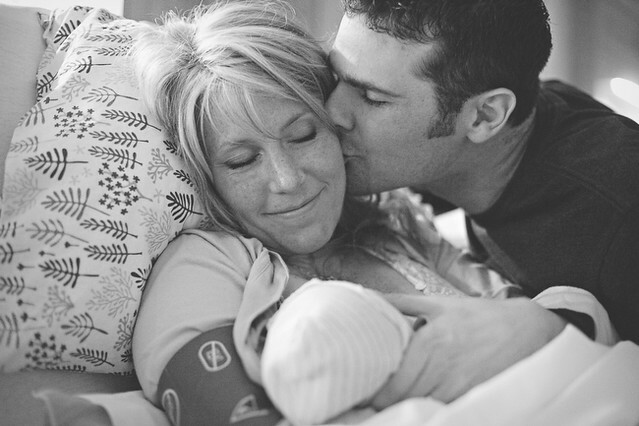 I just stumbled across your blog...what an amazing birth story! You make it looks easy :) The photos were amazing, my favorite was the first picture of your family of four. Congratulations! I am amazed at your story through photo's! They leave me with a tear stained face and a joy indescribable! I cried so many tears while reading this, pure pure joy my friend! Ezra is so handsome, his little lips are adorable! Jack bruised from his fast delivery as well, so I can relate! The bruises got a lot darker before they started to fade...just so you know that might happen! CONGRATULATIONS AGAIN! 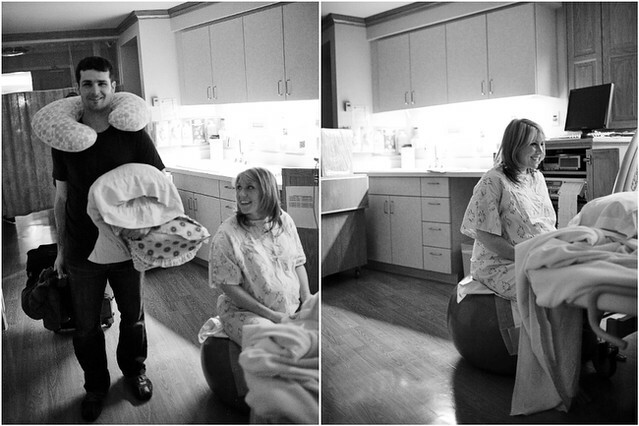 Gina did an amazing job, the pictures are so wonderful and tell such complete story. These pictures of you and your journey are just breath taking. I cannot get over how much emotion and love that Gina captured. It's just the sweetest thing. I'm also so proud of you for doing it the way you wanted! What a joy! He's a doll and your family of 4 is just precious! Wow, this is such a beautiful story. 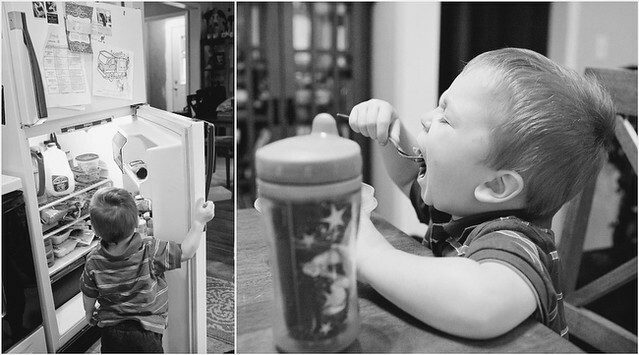 It's amazing that you have pictures to document it all! Congratulations to your lovely family! Amazing...these photos and story are simply amazing! What a sweet little treasure! 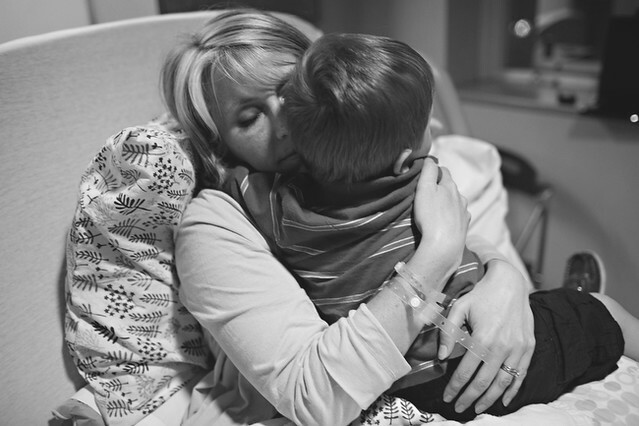 Such a beautiful story & with such amazing photos to accompany! 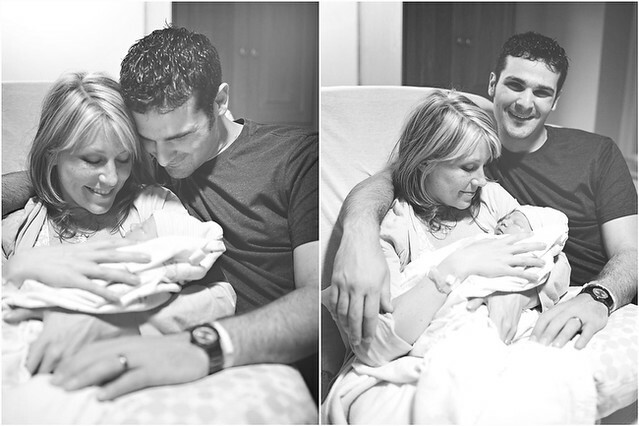 I am so glad that everything turned out how you wanted and that you have a happy & healthy family of four! I also want to thank you for being such an encouragement to me... I have been a little nervous about the any-day-now arrival of our little one... will I be able to handle the pain? will I love our baby right away? And reading your story really encouraged me -- yes, I CAN do this whole labor thing, and seeing the complete joy & love on your face as you met your little one makes me reassured that yes! 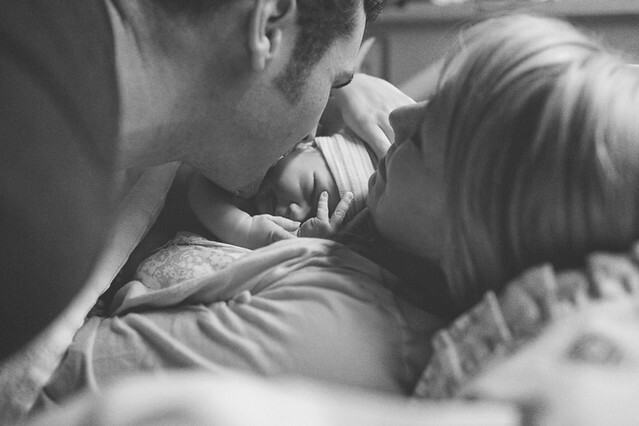 it will be an amazing moment when we finally meet our little one! Thanks! And congrats! You have such a sweet family! Beauitful beyond words. The pictures, the story, everything. I guess the fresh birth of my own baby boy keeps those emotions close to my heart. :) So happy for you and your family! Leah, this was beautiful....your words and the pictures. I'm happy Ezra is a healthy baby! Congrats to you, Tony, and Isaac! I've been following your blog for quite a while now, but haven't ever left a comment...after seeing this post I just had to comment. 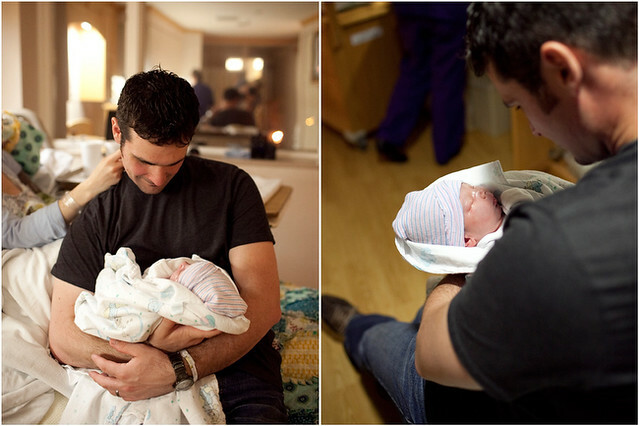 First of all congratulations to you and your family, Ezra is beautiful! I loved following all of your weekly pregnancy posts, as I too was pregnant (with my first) and due just a few days after you. 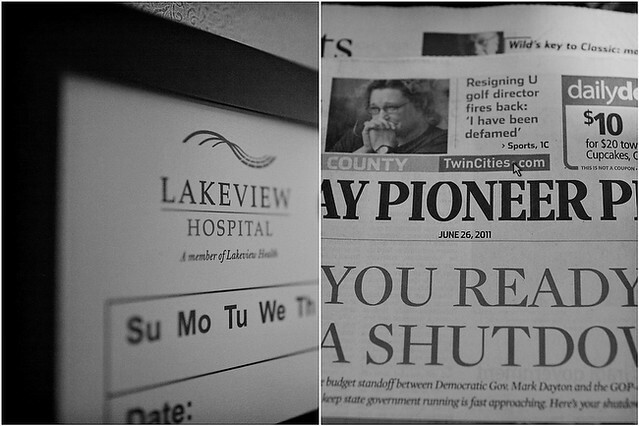 Seeing all of the pictures of Ezra's birth story looked all to familiar...I also delivered at Lakeview, and Fern was my midwife as well. Ironically, I ended up having our little guy on June 25th, so I can only assume you were just a few rooms away....what a small world! I love your blog...you have been blessed with a beautiful family! I just went back and read both Isaac and Ezra's birth stories. I just about came undone reading Ezra's with the pictures of you and Isaac together. 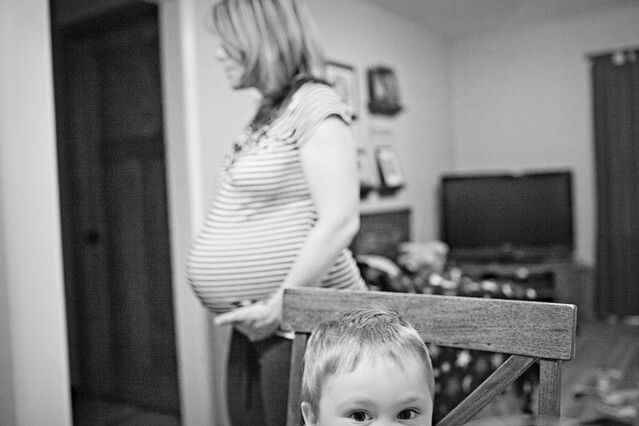 I cannot wait until my second lil guy gets here and Asher is a big brother! 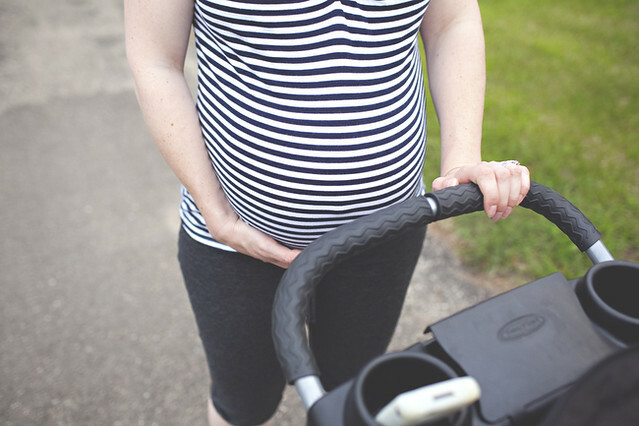 I'm totally jealous of the fact that you had med free births but I'm just hoping for a VBAC this time - don't think I'd be able to make it without help!